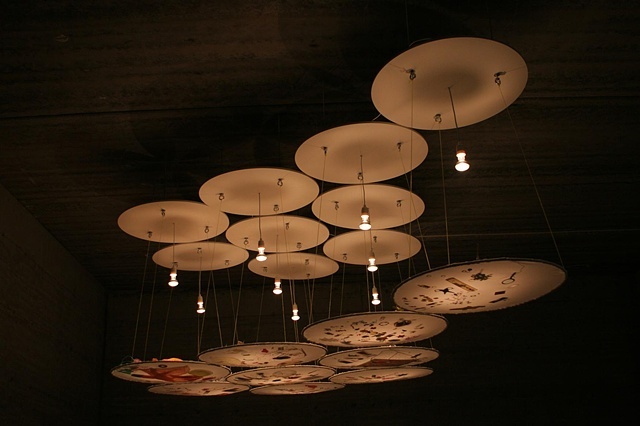 Flora consists of nine rounded frames that look like large petri dishes. Mass produced objects were placed on top of the frames, some of them with history of a owner but some new and unused. Light is projected through them. The work's aim is to combine a scientific approach to the mass consumption of the modern society, bearing in mind that petri dishes are often used to grow cultures.